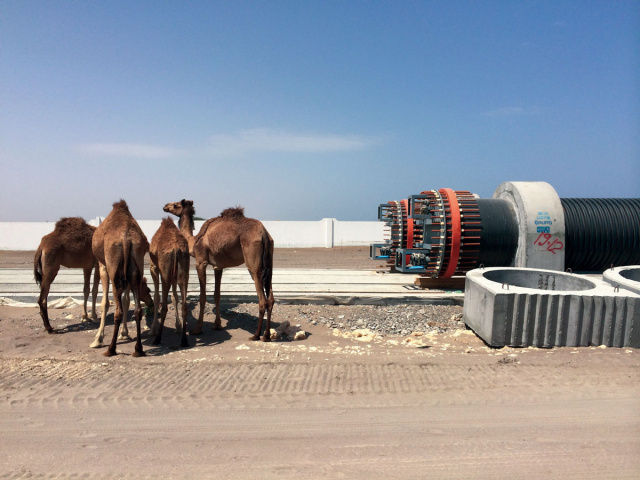 The Electro Fusion jointing system by Krah according to the DVS Rules assures a homogenous, leak-free and flexible pipe system, without any weak points on the joints. The electro fusion welding process is an optimized process to be used directly in the tranches with very quick welding time under consideration of welding factors. The effect is that the pipe system in the soil is even under heavy loads or seismic movements flexible and without cracks, breaks or displacement appearing. The pipe system will continue to provide service and will not break! The pipes are also lightweight with the required wall thickness of the waterway s1 according to the standard and can be adjusted for any kind of internal and/or outer pressure. This is a cost saving matter to avoid the usage of overdesigned pipes according to the application requirements. The pipe system will provide service for more than 100 years without any leakage, break, cracks or displacement. The material is UV resistant and also very environmentally friendly. Pipe material does not interact chemically with the soil, so it’s absolutely environmentally friendly and can be recycled to 100% as well. No blockages will appear, no bacteria or anything can find a hold on the pipe due to its smooth antibacterial inner surface. No heavy lifting equipment is needed to install the pipes, lifting with simple excavators is possible and therefore there is no more dredging work necessary, which is more expensive during the construction work. In a bigger city, it is no longer necessary to close all lanes of the road for the pipe installation work. Quick installation, as you have seen at the job sites will reduce the costs for construction significantly. The pipe system will behave like our veins, monolithic, homogenous, flexible and leak free for 100 years! wearing down, or rubbing away. Pipes can easily be subject to such a disruptive action. Plastic pipes however have shown a distinctive advantage in resistance compared to other pipe materials. 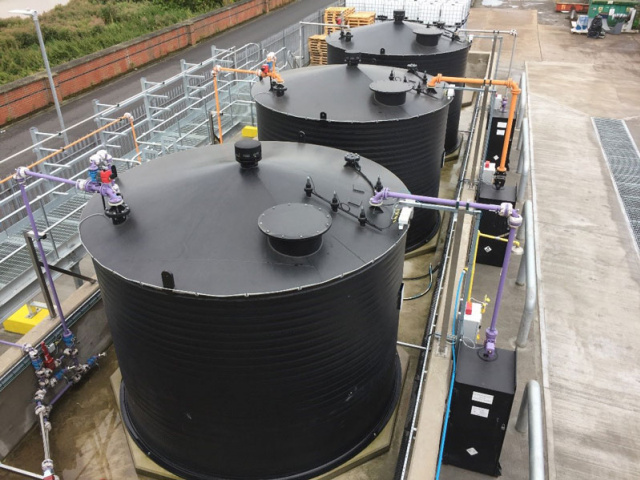 Plastic is an excellent material when it comes to resistance against a chemically aggressive environment such as aqueous solutions of salts, dilute acids and alkalis, especially when used in sewer applications. Also in aggressive soil conditions (pH between 1.0 and 5.0) polyethylene performs well and long. Even in termite-affected countries no damage to pipelines made out of polyethylene has ever been recorded. Polyethylene and polypropylene are not nutrient media for bacteria, mushrooms and spores, so that the material is resistant to all forms of microbial attacks as well as both sulphurous acid and sulphates. You can find further detail regarding this topic in our download section. Frequent damages which have been observed on concrete pipelines are cracks, fractures, collapses and socket mismatches. These failures can mainly be attributed to settlements resulting in overstress of the pipe crown. Concentrated traffic and earth loads strain pipe systems all the time. Therefore, it is very important to develop pipe systems, which will adapt to the future stresses and will not break down under these loads. The above mentioned damages are not likely to happen to thermoplastics pipes. KRAH pipes have integrated deflection zones and deform up to a point where the loads are minimized. When the load decreases, the KRAH pipe can reach its new lowest-stress shape due to its elasticity. The smooth inner surface of the polyethylene pipes offers a brilliant flow characteristic while other benefits like chemical or abrasion resistance are not restricted. There will be no deposits distracting the flow velocity. A bright colored inner surface is produced by co-extrusion, that's why inspections or repair works are comparably easy. The black outer surface and the bright inner color are extruded simultaneously. KRAH has developed this technique for larger pipes (up to DN/ID 4000mm). With this very quick jointing method the whole pipeline becomes a homogenous system and is absolutely safe against wanted and unwanted in- and ex-filtrations. A welding wire is included in the socket and then heated with the help of a special welding device, joining the two pipe ends (socket and spigot) together. 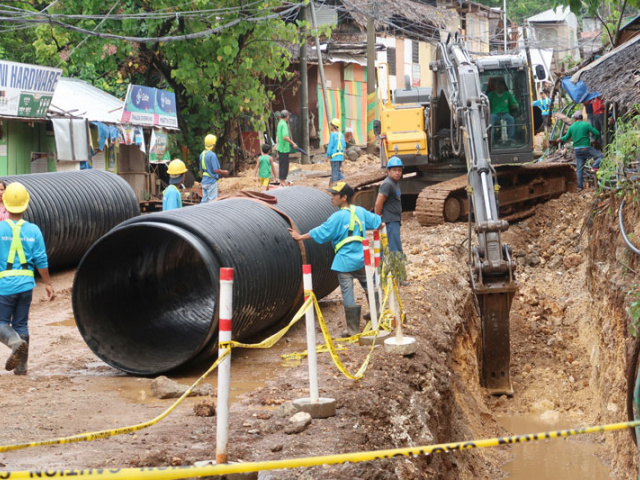 One of the outstanding engineering characteristics of High Density Polyethylene pipes are their long term hydrostatic strength behavior under various thermal and environmental conditions. Life expectancy is conservatively estimated to be in excess of 100 years, using the standard design basis. Furthermore the pipes are consequently highly resistant to UV-rays such as to scale and sediment build-up. The weight of Krah Pipes is one of the major advantages compared to conventional pipe materials. Being determined with 0,955 kg/dm³ for gravity pipes, the material is the lightest amongst others. 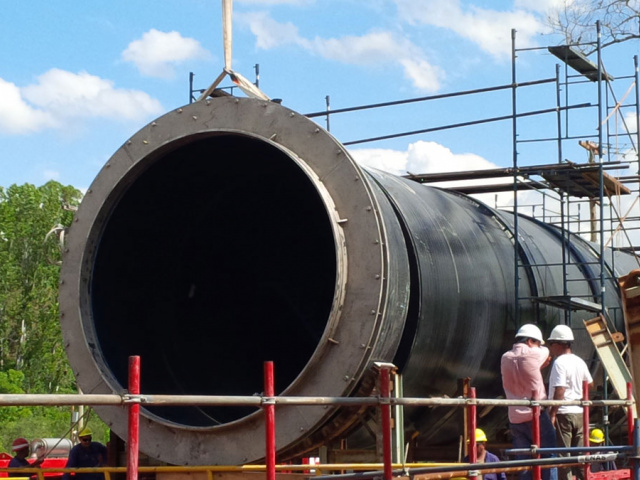 Therefore, this extremely low weight allows a much easier and quicker transport and installation of the pipes. Generally no heavy machinery is necessary for the installation and handling of them. With the third generation of high performance polyethylene, pipes could be manufactured for higher pressures and higher temperatures. Special polymers are available for working temperatures up to 50° Celsius / 122° Fahrenheit. the material is able to absorb energy. Additionally the material is very ductile, it flexes and bends and absorbs impact loads within a wide range of temperature without fraction. Black polyethylene pipes are permanently resistant against atmospheric corrosion and UV radiation. Due to this the pipes can be used and stored outside without the pipe material being damaged.